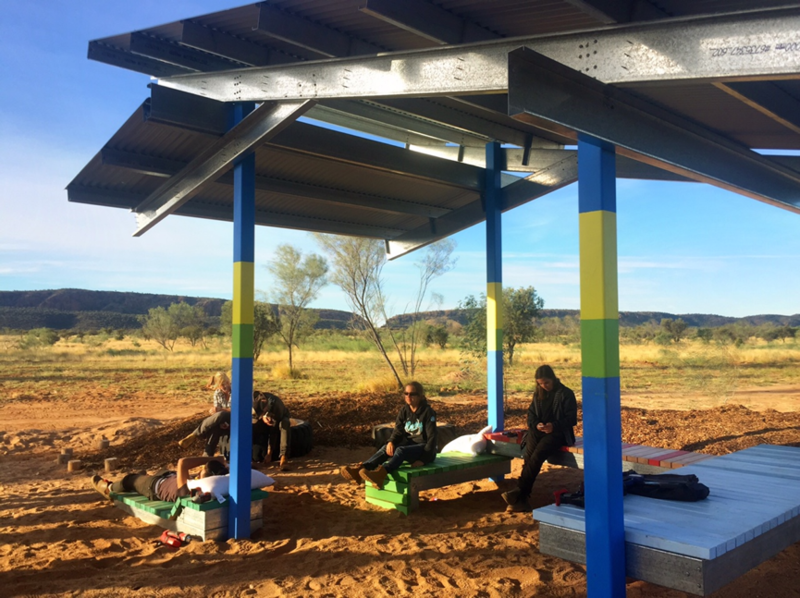 The Bower Studio team of academics, architects, builders and students collaborated with the MacDonnell Regional Council’s Civil Works team from Amoonguna to build and landscape a taxi/bus pavilion at the entrance to the community. Amoonguna is a welcoming community of around 300 residents a short drive south-east from Alice Springs. 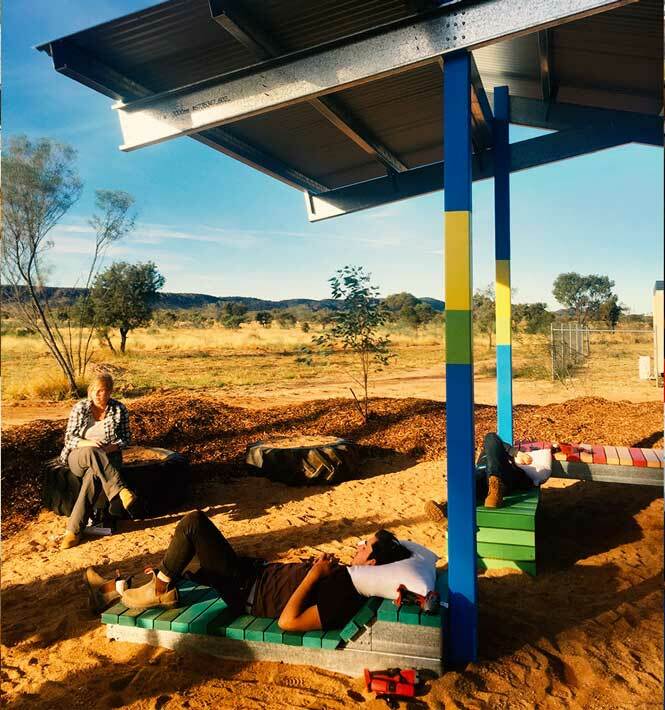 Following on from the 2014 Bower Studio project at Titjikala the MacDonnell Regional Council re-partnered with the Bower Studio and the Amoonguna leadership to select a taxi/bus pavilion from the HomesPLUS catalogue. The Council had been impressed by the interaction between the university team and local workers as well as the ways in which the outcomes improved the livelihoods of participating households. 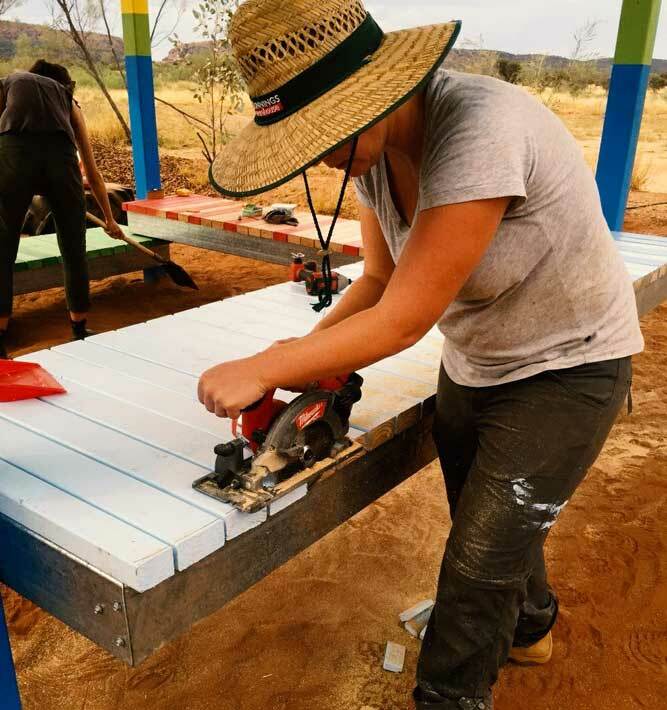 The HomesPLUS catalogue, supplemented with additional documents specific to the community, was used to set the program's parameters and as a way to introduce and engage the Amoonguna and university teams before construction commenced. The combined team worked on the bus/taxi shelter and then designed and constructed the seating and landscaped areas. Fuelled with shared meals of kangaroo tails the design and construction work was completed in less than a week. 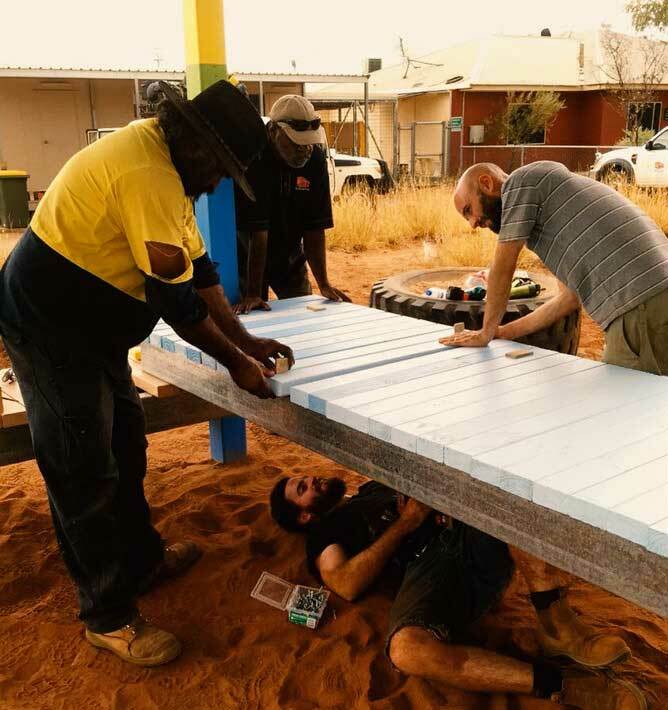 The experience has helped shape new aspirations for the community and provided the university team with the opportunity to further their designs to add to the Bower HomesPLUS catalogue. On return students and staff have pursued new designs to include in the HomesPLUS catalogue including recycling centres, sports facilities and health infrastructure.